The Dakar Rally is the world’s toughest and most famous adventure rally. First running in 1978, for decades the rally raid race took riders (and four-wheeled competitors as well) from a European start (usually Paris) to an African finish (usually Dakar, Senegal, hence the name). 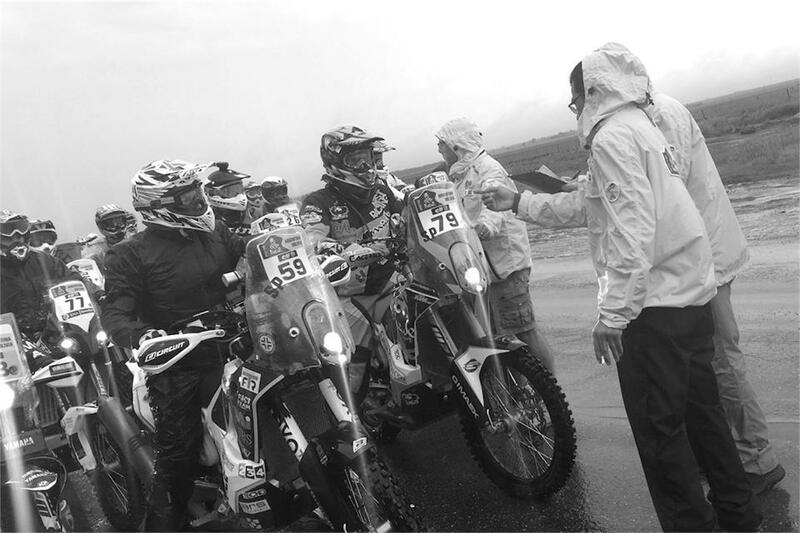 In 2008 due to terrorist threats, organizers ASO had to cancel the rally, and since then the race has run through various countries in South America. The 2016 rally was dogged by problems and controversy almost from the start of organization. First, host country Chile dropped out when politicians said they needed to focus government resources on disaster recovery, not racing: Fair enough. Organizers then added Peru, to take advantage of that country’s dune system. Months later, Peru also dropped out, for much the same reasons. Turns out those countries were right; the race saw heavy rains for much of the two-week event. The first stage was canceled completely, and several other stages were shortened due to rains or blazing suns. So much distance was cut from the race that some front-running riders complained it was too easy this time around. For this Three4Three we have a panel comprising of two of Canada’s Dakar legends; Lawrence Hacking (picture left), who has the distinction of being the first Canadian to finish the Dakar Rally in 2001, and Patrick Beaule (picture right), who is the only Canadian in the history of Dakar to have finished the Rally on both two and four wheels. Representing CMG is news editor Zac Kurylyk, who was responsible for covering the Dakar Rally this year. Question: Is South America as a host continent in doubt thanks to Peru and Chili dropping out and recurring weather issues? If so, where could the Dakar go next? Zac – There are a lot of fans who would like to see Dakar move back to Africa, but I expect the competitors themselves might feel differently, especially since so many of them are from South America now. For sure, the uncertainty of countries changing their minds is going to affect the rally’s future, and if ASO can’t set up relationships they can depend on with host countries, the race is going to die in South America, no matter what fans and racers think. Organizers had to scramble to put together a course this year, and I think it showed. The El Niño weather certainly didn’t help either, although organizers should have seen that one coming. I suspect southern Africa would be the sort of terrain organizers are looking for, but I’m not sure they’d find it easy to coordinate with the governments down there either. Asia certainly has opportunities, but they already have similar events there. 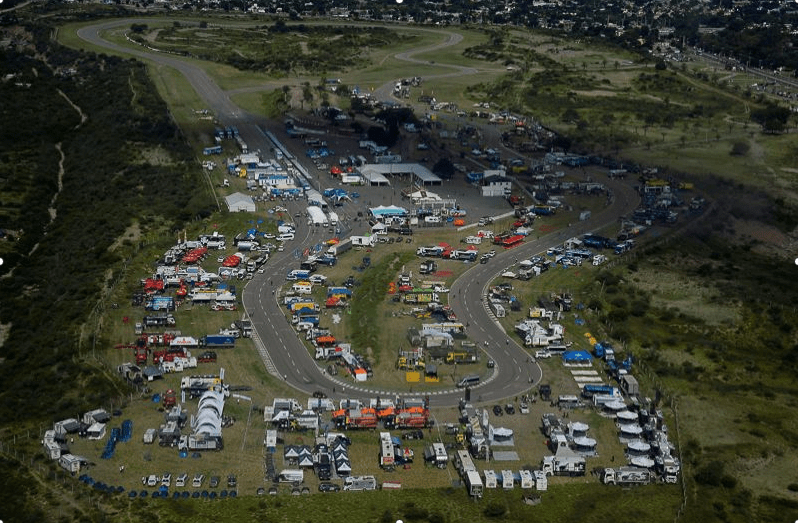 I will make one prediction: If Dakar does pull out of South America, I suspect it wouldn’t be long until we saw a new rally move in down there, probably run by locals, or see existing rallies gain more prominence. The riders and fans down there would make it happen. Lawrence – This year had exceptionally bad weather such as rain and cold temperatures due to El Niño. Peru predicted that and pulled out late in the game. I think ASO will return to South America because it makes good business sense, apparently they are paid a lot of money to bring the Dakar to each country. Dakar purists think the rally has lost much of its appeal since moving to South America but change is inevitable and to a certain extent the Dakar is different every year. There is some information saying that the Dakar will go through Peru, Ecuador and Columbia next year. I also read that the Dakar director, Etienne Lavigne was thinking South Africa and Namibia were possibilities for the future. The Silk Way Rally that runs from Moscow to Beijing is gaining importance but in the end the Dakar draws the bulk of the media attention which in turn attracts the big teams, audience and sponsors. Patrick – This year’s Dakar circuit was again very different from what the “Challenging/adventurer” competitors were looking for. After the 2015 event, ASO was under pressure to go to different countries and include more dunes into the course. They announced an interesting circuit before the registration period started but it then changed and most of the sand dunes were out again. The drive for me to go to Dakar back in the day was the challenge to navigate and not getting stuck in the dunes. This year, the competitor list was down again, which makes me think that it is the last year for the Dakar Rally in Argentina and probably on this continent. The same trails have been used and re-used and are now pretty hammered and not as much fun to ride on. Many drivers are very tired of racing in the dust for days and not seeing any dunes. A dune day mixes all the results! Question: Has the Dakar become too easy and is it in danger of becoming the domain of the pampered few? Lawrence – The armchair, keyboarding-wielding critics post things like ‘too bad the stages were shortened’ etc. but when you are in the desert, overheated with no water, you are happy they were shortened. Only a few of the top competitors wanted the stages left intact, however racers always want something that they believe is to their advantage. Rarely do they think of anyone else – that is their job. You have to remember they finish their day at 3 pm and are showered fed and watered by 4. There are lots of people still out in the desert for 6 or 7 more hours, getting unstuck, fixing things, getting lost or crashing. The Dakar has changed dramatically since moving to South America in 2009, it is not necessarily any easier; the challenge is still very difficult, however the creature comforts competitors enjoy are vastly changed. Having top competitors live in class three motorhomes with chefs, hot showers, their own bed and team personnel make life much easier every evening. In Africa everyone slept in tents — even ASO personnel — everyone lived the adventure. These days that side of the Dakar is very different. With these comforts comes a cost and the price of admission is much greater. Even the simplest privateers need to raise significant sponsorship to enter and compete. 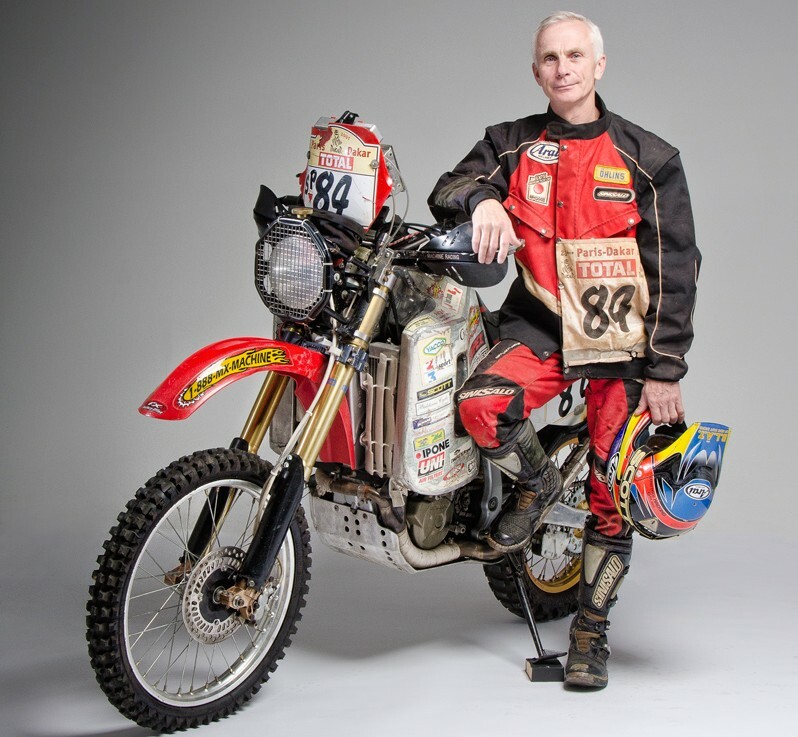 Patrick – I never experienced the Dakar when it was in Africa but I heard from many older competitors I met into the South American bivouacs that it was not more difficult — as everyone gives everything he has and more — but it was definitely more a challenge. For the four years that I competed in South America, I personally saw a transformation into a very long “Stage rally” with challenges instead of a “Rally Raid” where the positions are changing until the last day as every single morning you never know if you will make it to the next bivouac. And then there’s the new “economic classes” of competitors, which changes the real taste of the event. Sleeping in a tent for two weeks at sometimes 41C (at night!) next to generators and air guns running all night, is very different than sleeping at the hotel 15 km from the bivouac watching the news after a hot shower. This I know as I experienced both! 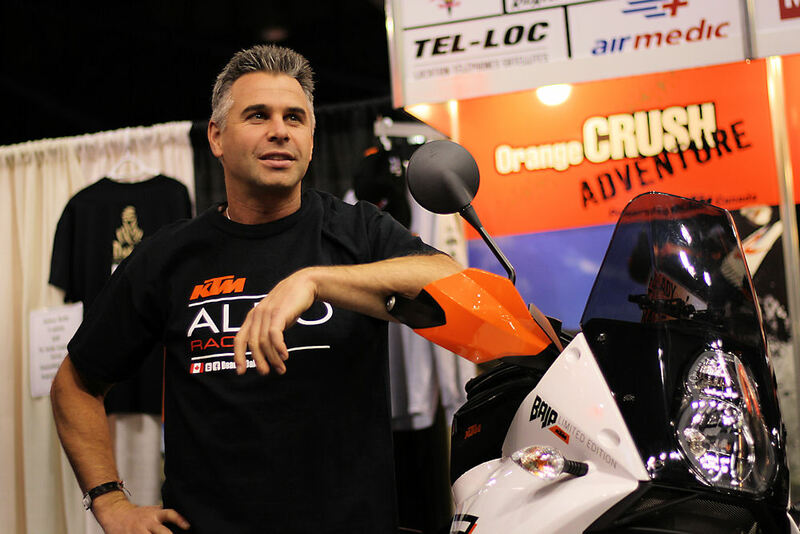 Zac – Obviously, I’ve never raced Dakar, nor will I ever muster the cash or skills to do so. However, in the last few years, there’s been a noticeable change. As Patrick said, it’s gone from a long marathon into a race of sprints strung together. That kind of race is great for the younger riders you see dominating the standings these days; you notice most of the frontrunners are enduro champs, and that’s because the race in its current form now suits them. Like both Lawrence and Patrick pointed out, we’re looking at very different conditions from the race’s African days, and I think those conditions aren’t necessarily easier for the mid-pack, or the guys at the back. The riders at the front might not have been complaining about shortened stages if they were sleeping in a grubby tent like the backmarkers were. 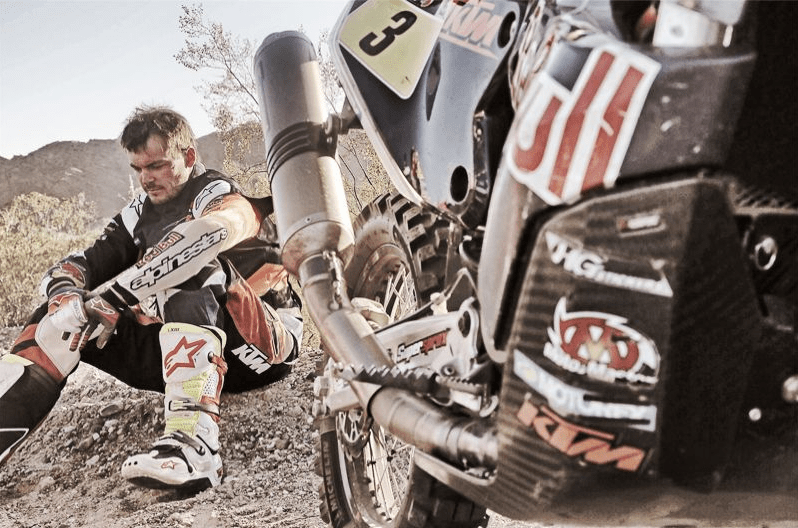 I do see one common theme amongst the privateers at the middle or back — to get to Dakar, you’ve got to sacrifice it all. Not just your time in training and prepping your bike and fundraising, but some of these guys are selling houses, etc. Check out Chris Cork’s Facebook page to get an idea. The higher the price, the harder it’s going to be for guys like that to attend. Question: How do you think the influx of big budgets like the new Peugeot car team will affect other competitors? Is that spilling over to the bike scene as well? 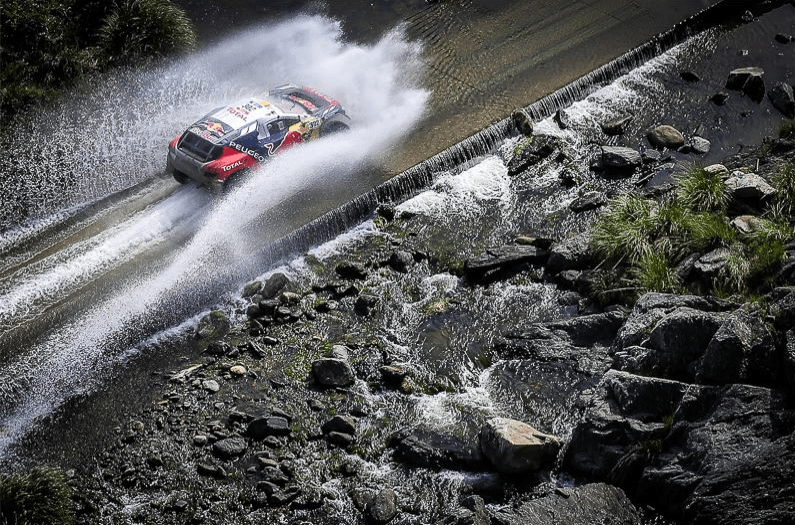 Patrick – When Peugeot participates in the Dakar Rally it is not just to be present but to win it. They were back last year after many years not participating and then came back again this year to win it. I think if they come back again next year it will be to fill up the podium with three Peugeots. I think this is very good as it may tickle one or two other manufacturers to jump on board and fight them in a near future. But the amount of money they invest compared to other teams is huge and I am not sure this looks very good. It also makes it harder for a good driver with a smaller budget to impress and get a spot in a good team the year after. Thankfully this is still possible in the bike and quad category as I don’t think you can end in the top 10 cars without showing up with a million $ budget…. Kerching $$$$$. VIVA LA MOTOCYCLISMA!! Zac – It looks like, in the cars, that Robby Gordon and his kind are going to fade into history, as they can’t compete with ASO politicking and big budgets. On the bike side: As Patrick pointed out, a privateer still has a chance. Look at Stefan Svitko. He outrode everyone but Toby Price this year, and he’s a European privateer. A better example might be the Sherco TVS team. Although they finished further down the standings at the end, they were right in the top 10 until the final stages, on a budget that would be far behind Honda, KTM, and probably even Husqvarna and Yamaha. However, it’s worth noting that four of the top five and seven of the top 10 finishers had some sort of factory backing. Money talks at Dakar. It takes a lot of resources to keep a build a high performance motorcycle and keep it running for two weeks in those environments. I’m interested to see if any of the bike manufacturers can learn from Peugeot, though. Honda obviously needs to revamp their strategy; few privateers are purchasing their bikes, and their factory rides seem to have very dodgy reliability. Since HRC’s current plan and program seems to be failing, maybe they should examine Peugeot’s corporate culture to see if they can turn their team’s fortune around, instead of taking steps backward. Lawrence – Big budgets come and go in the Dakar – a few years ago VW spent a massive amount of money and won many times. Companies use the incredible marketing power of the Dakar to launch new models and sell products; that is a fact of life. The return on investment from the Dakar for motorcycles is less so but still significant, Honda came back four years ago; I believe, to market the new Africa Twin. It is an example of brilliant marketing, they used their Dakar participation to rebuild their ‘adventure’ image in order sell the new bike and it has worked well. They may also commercialize rally-ready bikes in the future and expand the HRC involvement in rallies, which would benefit more riders. The ebb and flow of sponsorship is natural, the economy plays a part as does the amount of media exposure a given country has, directly impacting the amount of support a racer can generate. Take Poland for example, there are some strong Polish teams in the Dakar and they are well-funded by the national oil company. Polish TV covers the rally to a great extent that it turn equals support for more competitors. In my own view the Dakar got boring since it reached South-America,maybe a trans Canadian or Eurasian race would be more interesting.